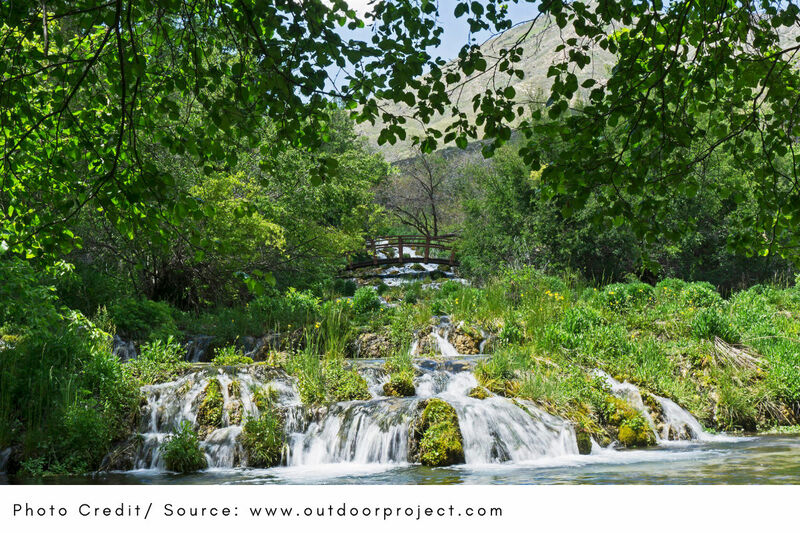 Cascade Springs is a gorgeous open space of trail systems located in the Uinta National Forest, east of American Fork Canyon and west of Wasatch Mountain State Park. Cascade Springs is not far from the city of Provo, Utah. A series of loops take you through cascading waterfalls, small pools of fresh water, lush vegetation, and opportunities to see wildlife. It is a fantastic place to spend an hour or two with the family, friends, or a loved one. The beautiful and peaceful area serves as a great spot to get romantic with a significant other, observe nature, reflect on life and do activities like read or take scenic photographs where seven million gallons of water a day cascade down this wonderful landscape. The lower loop introduces visitors to the open space and is the most easily accessible. The Lower Pools Loop is also the most popular among the guided paths in the Cascade Springs loop system. The paved trail walks visitors through a series of maze-like configurations where guests are treated to crystal clear pools and photogenic waterfalls. An impressive number of trees and plants species call Cascade Springs their home. The Lower Loop is also handicap accessible. The middle portion of the trail is slightly steeper than the Lower Loop but still very accessible. 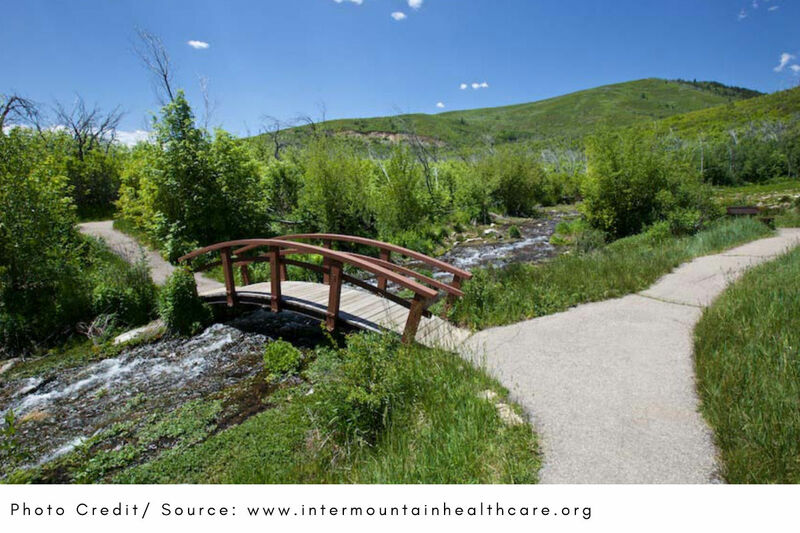 A combination of paved and wood boardwalks take guests deeper into the Cascade Springs wilderness. Trail markers will lead you to the Middle Loop which begins at a wooden bridge situated by a waterfall. It’s a great place to take a short break as the rushing streams run through this section for most of the year. From there you can progress up the hill to the left or right (it's the same loop so you will return to the same location regardless). The Upper Loop, like the name implies, is the most difficult yet not all too strenuous. The trail does require climbing up some wooden steps but the slope is gradual and not too intense. Here, travelers can witness the origins of where the springs start to trickle down the slope and feed the plants and wildlife below. The Upper Loop is a terrific spot to witness new plant growth. Visitors can also see the remains of a 2003 wildfire that got close to the area from this vantage point. There are countless opportunities to watch and photograph wildlife around Cascade Springs. The crystal clear pools provide amazing opportunities for kids to watch brown trout and native cutthroat swim among its shallow depths. * The native fish are believed to have originated from the Provo River, located nearby. A variety of other mammals call Cascade Springs their home. They are less frequent yet it's still possible to spot beavers, otters, deer, moose or elk in the area, especially near dawn or dusk. These animals tend to be more shy of people, so the best chances to see them are in a secluded, quiet areas. As you would expect with an area so richly dense with trees and plants, a number of birds and insects also get on about with their day. Hawks can be spotted from above while wild turkeys may roam the grounds. Several different types of hummingbirds also greet guests with their beautiful sounds. *Please note, while it’s okay to watch the trout no fishing is allowed within the grounds of the open space. The geology of Cascade Springs goes back impressively to 30,000 to 10,000 years ago when coarse-grained glacial sediment was first deposited from glaciers that covered higher elevations on the Wasatch Mountain Range. 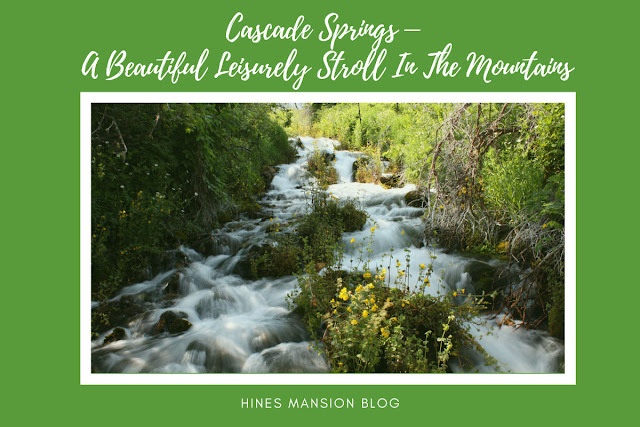 The sentiment deposits contribute to the abundance of water that flows through Cascade Springs to this day, where mountain runoff along with water that seeps out from the ground contribute to the remarkably lush and fertile soil where plant life thrives. Like any place you visit outdoors, it is always recommended to pack plenty of water and bring extra clothing. Even in the middle of the summer, temperatures can vary in the wilderness and because Cascade Springs is not only at higher elevations, but also densely wooded, a jacket and pants is a very good idea. All three of the loops take approximately 15 minutes each to complete. 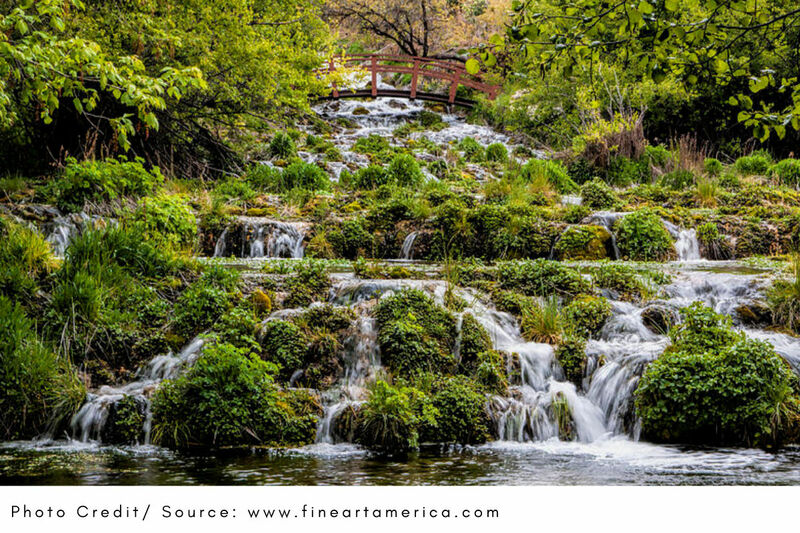 So, if you intended to walk all three plan for at least 45 minutes to complete, with an hour or two being more highly recommended since you will want to watch the native trout in the ponds, take photos of the waterfalls, and hopefully see wildlife. If traveling from the Utah Valley on I-15, take the Highland/Alpine Exit, number 284. Travel east for about eight miles on State Route 92 before reaching the entrance station of the National Forest. Please note there is a small charge for National Forest access. From there, follow the Alpine Scenic Loop up American Fork Canyon. At the summit of the Alpine Scenic Loop, which is approximately 17 miles from the entrance station, take the Cascade Springs turnoff. Cascade Scenic Drive winds another six miles before reaching a parking area by the trailhead. 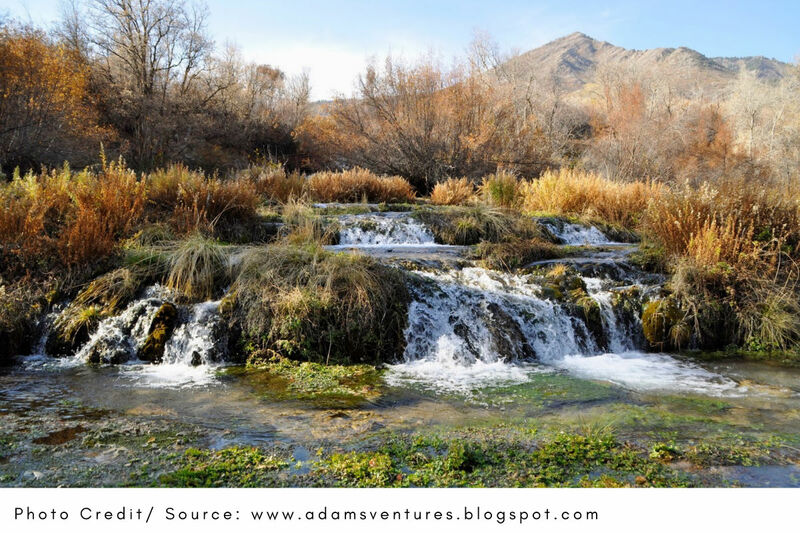 Cascade Springs can also be accessed from the east through Wasatch Mountain State Park. Follow the directions posted in the town of Midway to reach Cascade Springs Drive. Continue about eight miles until you reach the lower parking lot. It’s important to note that the Alpine Scenic Loop road is extremely narrow. The road is not recommended for vehicles longer than 30 feet or vehicles with trailers, as the switchbacks are tight and can lead to trouble. The area is also occasionally closed in the winter due to weather. Cascade Springs is not often reported in traditional tourist guides, but is definitely worth a visit. The incredible landscape is a great place to cool down and relax for a couple of hours. The waterfalls make for a great photo op, while the wooded terrain features moderate temperatures even in the heart of the summer. You can cool down further by soaking your feet in the natural water pools while fish swim by. Since you will likely already be traveling up the Alpine Scenic Loop in the Uinta National Forest, why not take a pit stop at this hidden gem?